Simply follow the 'lock gates' symbol and direction arrows and you won't get lost. Nestling in the heart of agricultural Worcestershire is the picturesque parish of Hanbury. To help you explore all that this parish has to offer, Worcestershire County Council have recently developed a 6 ¾ mile circular walk. 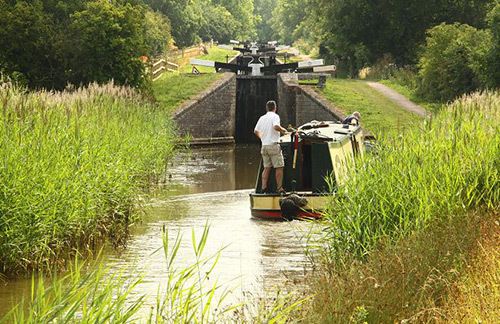 This varied circular walk combines canal-side walking, hedge-line fields, historic buildings and parkland.